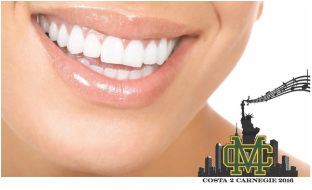 Teeth Whitening Special Offer gives 50% to Carnegie Fund - November Special! Get your pearly whites shining bright just in time for the holidays! Thank you Dr. Maryam Bakhtiyari and Manhattan Beach Orthodontics for this special offer. Appointments need to be made 24 hours before and you must come in for the impressions to be made. Voted Best Operator of the Year by The Limo Digest of New Jersey! Many thanks to Ali Mohammedi, owner and Bands parent. ILS - International Livery Services, Inc.
Save the date for Local Restaurants Offering Donations to Carnegie!